Should you buy the Fujifilm Instax Mini 9? Best Answer: Yes! If you enjoy photography as a hobby in any way, shape, or form, then the Instax Mini 9 is a fine addition to your arsenal of cameras. You'll get the nostalgia factor of Polaroid cameras from back in the day, and there's something so satisfying about the instant gratification you get from a quick print of a fun shot. Plus, it comes in a ton of fun colors. Why an instant camera in the age of digital photography? I know what you're thinking: You have a smartphone with a powerful camera that you can carry in your pocket, so why would you want an instant camera to carry around? Get the nostalgia factor of Polaroid with a great camera for hobbyists. While our iPhones and Android smartphones are great cameras, it's not the same as having a Polaroid-like camera with a classic twist. For many, the satisfaction with an instant camera is not the end result, but the fun involved with getting the snapshot and then watching it develop onto a print right before your eyes. Sure, you need to get the shot "perfect" since there's only one chance for every print (and it's not cheap), but part of the fun is the setup. Plus, even if you mess up or it's not perfect, it's still a memory that you can laugh about later down the road. These are the best kinds of memories, honestly. So what colors does the Instax Mini 9 come in? 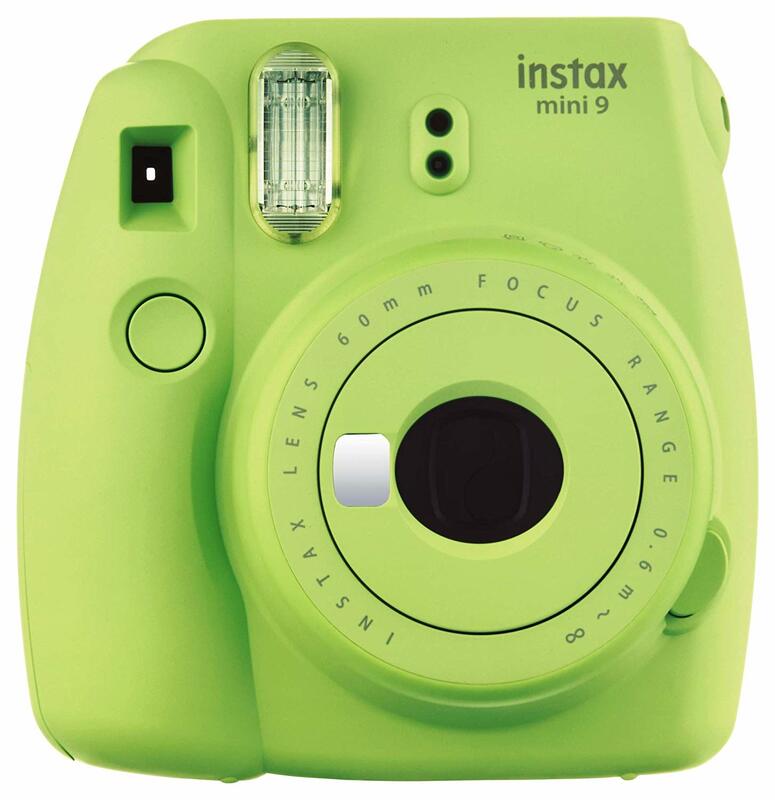 The Fujifilm Instax Mini 9 comes in five basic colors that are available at all retailers that sell the camera: Cobalt Blue, Flamingo Pink, Ice Blue, Lime Green, and Smokey White. There are also four colors that are exclusive to specific retailers. You can find Smokey Purple and Mint Green at Best Buy. Urban Outfitters also exclusively carries Marigold and Lavender. While the camera itself doesn't cost too much, the film that it uses ends up costing more in the long run. For the Instax Mini 9, all film comes in packs of 10 sheets per pack, and cost about $1 per sheet, depending on the kind you get. The basic white film usually starts around $13-$14 a pack, but you'll often find it in twin-packs for about $20 or less if it's on sale. Different color options, such as Monochrome B&W, Rainbow, and limited edition designs are slightly more expensive. It's best to keep an eye out for sales and deals on film for the Instax Mini 9, and then stock up then. Sites like Thrifter are great for this. The Fujifilm Instax Mini 9 is a great instant camera for those who love photography. It comes in fun color options, is fairly portable and comes with a matching strap, and the pictures develop fast. It's the perfect little instant camera for those who want the retro experience. 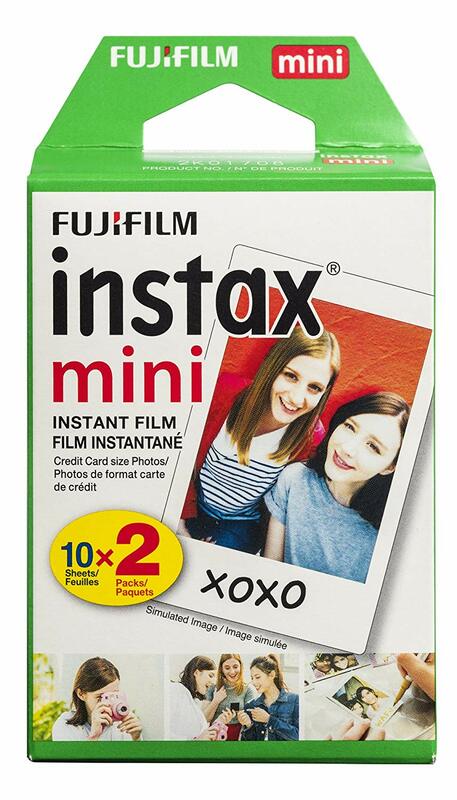 Make sure to stock up on some film for your Instax Mini 9! The White film can often be found in bulk packs for cheap, and should be your default film option when shooting with the Instax Mini 9.